In 1972, the International Federation of Film Archives (FIAF) created the Periodicals Indexing Project (P.I.P.) to help FIAF archives collaborate and pool their resources. The main objective was to produce an international index to the most important film periodicals, based on contributions from FIAF librarians and documentalists worldwide. The International Index to Film Periodicals offers in-depth coverage of the world’s foremost academic and popular film journals. The database now contains more almost 400,000 article references from more than 360 different periodicals. Approximately 12,000 new article records are added annually. For a complete list of journals indexed since 1972, go to the Journal List. 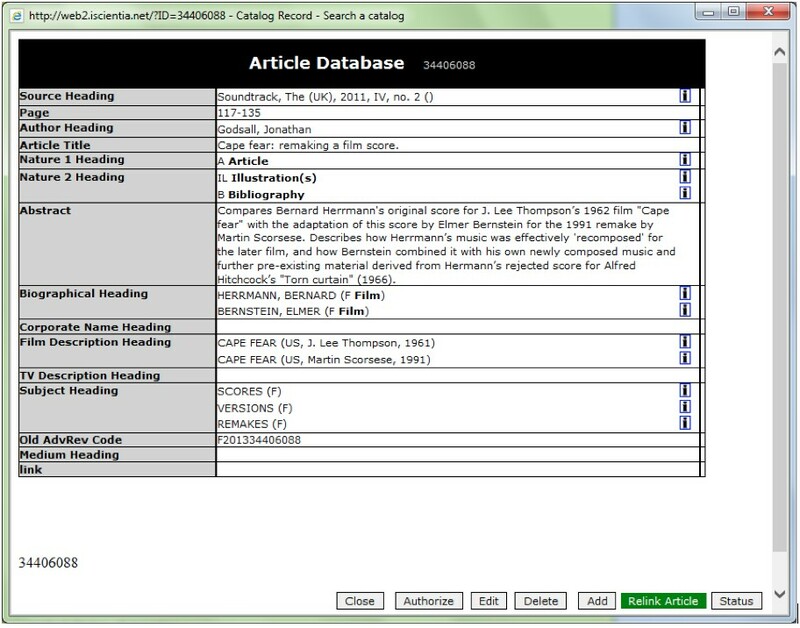 In comparison to other film indexes the International Index to Film Periodicals is unique in the detailed information provided, including a full bibliographic description (author, title of the article, article type: i.e. article/review, citation), an abstract (where necessary), and comprehensive headings (biographical names, film titles and general subjects). A hierarchically ordered controlled thesaurus was established to help indexers and users to achieve consistency and clarity in selecting subject headings when indexing and retrieving periodical articles. Currently, more than 20,000 subject terms are included. The most recent list of Subject Headings can be downloaded at the P.I.P. Subject Headings. Quarterly online updates of the International Index to Film Periodicals are published as part of the FIAF Databases in collaboration with our partner publishers Ovid and ProQuest.